“Empire” actor Jussie Smollett was arrest by the Chicago PD and charged with a felony for a reason. Authorities have good reason to believe he staged a hate crime against himself. It’s that simple. The brothers who “attacked” Jussie even said they were paid by the openly gay actor to go after him. Now, it is being reported that Smollett told his castmates that he didn’t do it. Actor Jussie Smollett surrendered to authorities on Thursday morning after he was charged with felony disorderly conduct for allegedly filing a false police report. 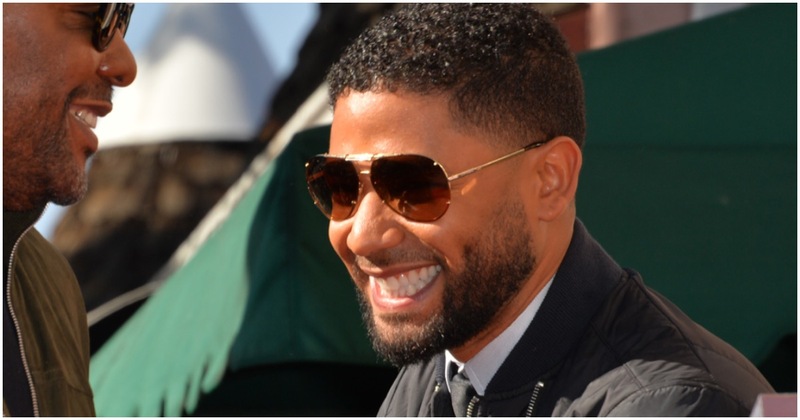 Later in the day, Smollett was released from prison on $100,000 bond and headed to the set of his Fox show, “Empire,” where he reportedly begged his castmates for forgiveness while simultaneously maintaining his innocence. “Sources on the ‘Empire’ set tell us the cast and crew were waiting at least 30 minutes for Jussie to begin the scheduled scene. When he eventually showed his face he was very emotional, and surrounded by his family,” says a report from TMZ. Smollett has a history of lying to law enforcement.